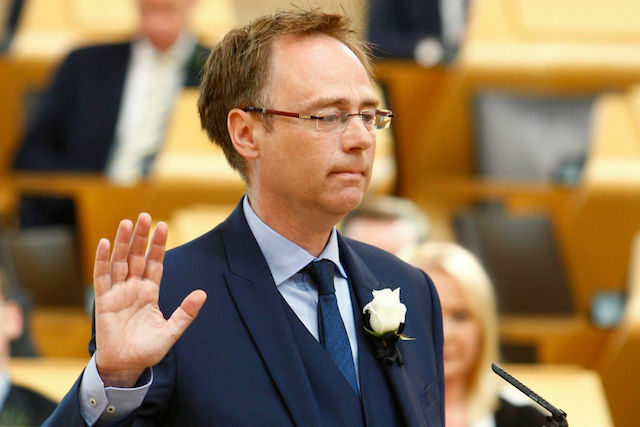 Alasdair Allan is the Scottish government’s Minister for International Development and Europe. Allan was interviewed by Bartosz T. Wieliński. Theresa May’s cabinet insists that Brexit means prosperity and sovereignty for the United Kingdom. Does Scotland believe in these promises? No. Somehow the Conservative cabinet does not say anything about the sovereignty of Scotland. Despite the fact that 62% of Scots voted for a “Remain” option in the Brexit referendum. That result is a very strong argument and it has to be taken into consideration. During the last months, we were trying to compromise with London – our Government presented a lot of detailed proposals of anchoring us in Europe. We are very concerned that the discussion is moving past simply leaving the European Union. Now we are talking about leaving the single market and “building the wall” against the freedom of movement. And these institutions have been very beneficial for Scotland. This Tuesday (28 March)*, we will open a new chapter in this debate – the Scottish Parliament is meeting and it is very likely that MSPs will decide to call the new Scottish independence referendum. After that, we have to ask the government in London for consent to the referendum. If we achieve this goal, the referendum will take place at the end of 2018 or in Spring of 2019. 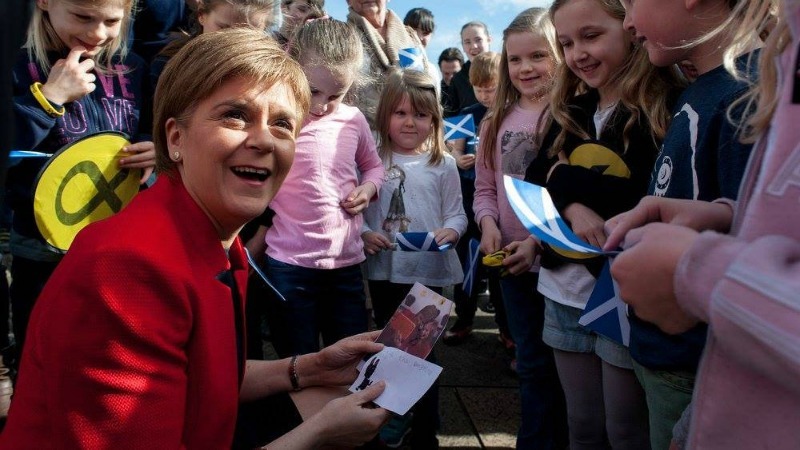 Scotland’s leader Nicola Sturgeon is expected to win a vote in the Scottish parliament today (22 March) in support of a new independence referendum, despite opposition from London. What would you do if London saysyou already voted on independence in 2014 and that is enough? 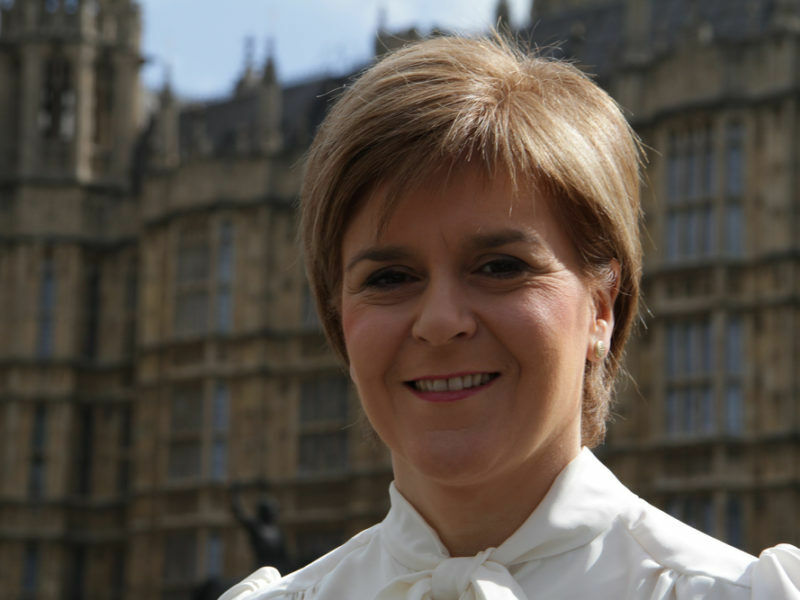 First Minister of Scotland Nicola Sturgeon has said recently that our referendum will take place in some form anyway. It is democratically justified. The Conservatives have only one Scottish MP – that is why blocking the vote by the Conservative government will stretch on and complicate this situation. And the result will be exactly opposite. The more London will restrict Scottish democracy, the less support it will receive from us. The British voted to leave the EU, while Scots proved to be Europhiles. How do we explain this difference? Scotland has always been an open country. We have strong ties with Europe, including Poland. We appreciate the huge benefits of EU membership and not just the structural funds. During the last 15 years, Scotland’s population was stagnant or in the decline. It is clear for us then that our population will increase and our economy will grow only when people will immigrate here. The arguments against immigration put forward in the other parts of the UK, or even open hostility towards newcomers are not applicable to Scotland. It is hard to find anyone here who would be supporting leaving the EU. In our parliament, out of 129 members, only 8 MSPs announced they will support Brexit in the referendum. Scots are convinced that their future depends on the ties with Europe. So you do not believe that you will be richer without Europe? For us, the single market is crucial. Even that 38% of Scots voting for Brexit would not agree to stay outside the single market. And we cannot access it without the freedom of movement. And we have benefited from it for years! But we see more than just the economic benefits. Europe defends the norms, looks after the social affairs. We also believe in the European solidarity – and that is why we want the Scottish voice to be heard on the continent. We are unhappy that the government took the decision to leave the EU for us, completely ignoring our opinion. In 2014, before the referendum, we heard warnings that Scotland would not survive without the UK. Has that situation changed? It had been said then that people should vote against independence because they will no longer the part of the EU. Well, they did vote against independence for Scotland but we still got Brexit! The situation then has changed radically. Now Scots are more convinced of the independence. In the polls, anywhere from 47 to 50% of our citizens support it. 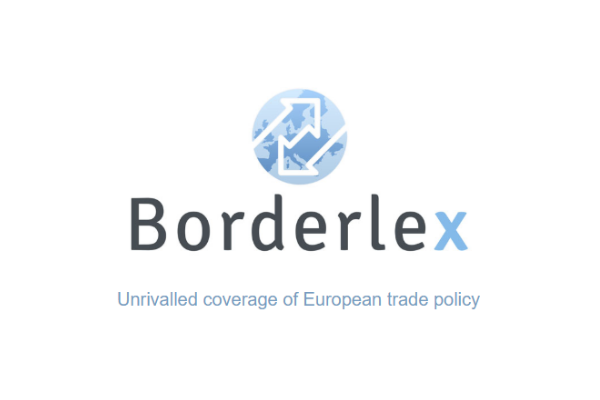 The EU cautioned Scotland about independence in 2014: that Scotland would not get the EU membership automatically but will have to face long and arduous negotiations. But even now we fulfil all the membership criteria. We cannot be compared then to other potential candidates. In 2014, Europe was suspicious towards Scotland. Now it is clear that the Scottish drive for independence is motivated by the desire to stay in the EU. I am an optimist. I believe that this time our aspirations will be thoroughly understood. What would independence look like? Would the Queen remain as the head of state? What about the army? Of course, Scotland would become a parliamentary monarchy. And like in Canada or Australia the Queen would remain as head of state. However, the Parliament with the Cabinet elected by MSPs would govern. When it comes to the armed forces, Scotland even now has regiments of infantry as a part of the British Army. We also have military bases. There is no need to start the independence from scratch. We have a number of institutions required by a sovereign state: parliament, government, a legal system. We have our own culture and language. With the independence of Scotland, the UK will practically cease to exist. Yet it is not Yugoslavia or Czechoslovakia. It is a country that has existed for centuries. Only three centuries, to be precise. Scotland had been longer an independent country than the part of the UK. Of course, strong bonds have been created between us and others parts of the UK. We want to end our relationship in a civilised way, though the negotiations with London will be long. I am convinced that afterwards the relations between England and Scotland will improve. After declaring independence we will become equal partners. Now the British government does not consider us to be such. They even want to lecture us on democracy. It is not polite. Scotland has to make her own decisions about the important questions. And now Europe is the most important question of all. It would seem so, looking at the activities of Theresa May’s Cabinet. From our point of view, it would create chaos. Before the Brexit referendum, there had been no debate on what exactly Brexit means and what will be the consequences of leaving the EU. Now the government cannot even explain what will happen to foreigners living here. I spend the most of my time calming down Poles and other nationalities who are anxious about their future. It is high time for the government to start informing the citizens. Is there any possibility that the UK will leave the EU, suffer on the outskirts of Europe and come back humbly to the Union? Many citizens do not realise that the Brexit has not happened yet. So when it does, they will experience first-hand how difficult it is to live outside the EU. For this reason, our independence referendum will be different from the 2014 vote. Then, the independence meant abandoning the status quo and going into the unknown. Whatever happens now, there will be many changes in Scotland, but we want to make decisions ourselves and not let anybody to make them for us. *Updated from the Polish edition, following the rescheduling of the vote from last Wednesday (23 March). Scottish minister must know that independent >Schotland will never become EU member state due to Spain and its problems with independence whishes of Catalonia. Oh sure, just keep lying about that. No matter what the Spanish themselves have to say about it, right? Starbuck is right about that, but you don’t care. the Spanish government is not against Scottish independence or a sovereign Scotland joining the EU. it said repeatedly that it is against unconstitutional and illegal break-up of recognised nation states (though the UK is a multi-nation state). First Scottish referendum was constitutional but EU Commission and Spain goverment were against Scottish independence and also were delcaring that independent Scotland will not automaticaly become EU member. Just infom your self on Google. In 2014 , the SNP had a referendum for Independence knowing that it would have to Leave the EU , lose EU subsidies , and cause major damage to Scotlands economy , if it had succeeded in gaining independence . The SNP did not protest against taking part in a UK wide referendum , knowing that Scotland has just over 5 million people , and could be out voted by the rest of the UK . The SNP actively campaigned on behalf of the Remain side . Had Scotland refused to recognise the referendum , and refused to take part , then I would be an ardent supporter in their claim that England had ignored the Scottish people, and dragged them out of the EU . You can’t take part in a referendum , then refuse to accept the result because you lost . Maybe Scotlands Conservative and Labour supporters can refuse to accept that they lost seats in the various regions of Scotland , if this is the SNPs way of conducting itself in participating in votes . What is going to happen in any future votes in the UK (General Election etc) ? , is the losing side going to refuse to accept the result , and protest against it? Scotlands actions , and that of the rest of the UK (both Leave and Remain) agreed to accept the result when posting their vote in the ballot box . Is Nicola Sturgeon going to accept the results of EU votes in Brussels , if they go against her ? The difference between The UKs choice to leave the EU , and Scotlands wanting Independence . Scotland exports only 16% of its goods to EU member countries , and 63% of its goods to the rest of the UK (Scot Gov Figures) . Scotland profits more from the UK, than the EU member countries . According to the UK Government which just happens to need to continue fleecing Scotland of its massive wealth. Funny that.